According to legend, almost three centuries ago, the Cardinal of Milan unexpectedly visited the town of Saronno in Italy. To honor him, 2 young lovers, Giuseppe and Osolina, quickly baked up a mixture of sugar, apricot kernels and egg whites, creating crisp airy cookies with an unusual bittersweet flavor which they wrapped in pairs to symbolize their love. The Cardinal was delighted and blessed the young couple, who married and lived happily ever after. 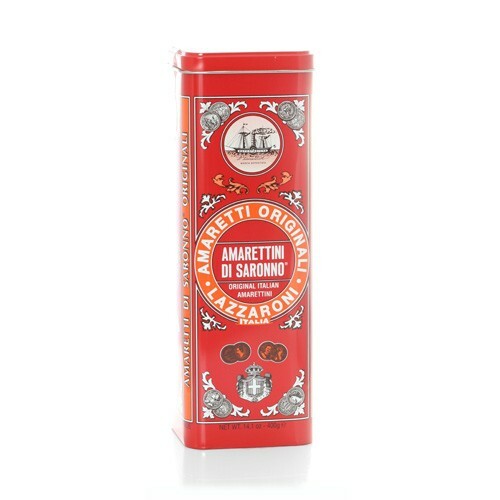 Since 1718 this ancient and secret recipe has been perserved by the Lazzaroni family. So unwrap a legend and begin your own happy ending!